Team Suzuki Press Office - January 30. 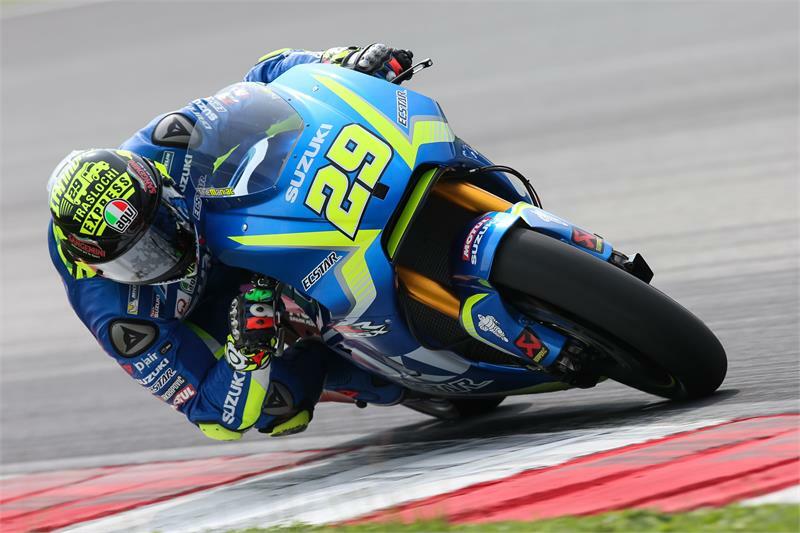 The 2017 MotoGP World Championship has officially begun at the Sepang International Circuit in Malaysia as Team SUZUKI ECSTAR’s Andrea Iannone and Alex Rins got their first taste of the updated GSX-RR machines following the long winter stop. Today’s work for the team was not focused on the timing, but was more on the technical development; the 2017 machine is not a completely new bike but the result of some updates to 2016. This meaning that the work asked of the riders is mainly to get well acquainted with the standard machine to have solid references and then make any comparisons with the evolution bike, so that they can address the engineers’ work. Being so early in the season the job is still a preliminary one, meant to define the direction for the future developments.